Regular AC tune ups are necessary to ensure that your air conditioning units at home and in your offices will remain functioning at its best. When the temperature turns hot and summer is here to breathe forth inconvenience and extreme heat, you can rest in comfort knowing that your air conditioning unit is there to cool your home. And because this is the season when you’re air conditioner is running longer than it should be. Because of this, your air conditioner could even perform not that efficiently. The key to that is getting it regularly tuned up. Remember that an ounce of prevention is better than a pound of cure. So before something wrong happens to your air conditioner, better get it checked by a team of trusted, professional and reliable air conditioning experts. All Week Air Conditioning is here to come to your rescue when you need our service the most. All Week Air Conditioning has been offering home and business owners in New Jersey with topnotch service and the guarantee that you don’t have to get caught off guard with any problems of breakdown or damage when summer comes. 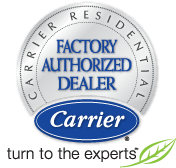 Learn About Annual AC System Tune-up Benefits, Call The Experts Today! Here in All Week Air Conditioning, only professional cleaning experts will ever touch and take care of your air conditioning system. So, now that summer is here, there’s no better time to get your AC tuned up than now! Before your air conditioner releases its last cold breath, do something to make sure that it will stay functioning in its best condition. We are always available to check your AC. Other than tune ups, our services also include regular repair, installation and replacement of worn out air conditioning units. Call us at All Week Air Conditioning so we can discuss the various services that we have to offer.